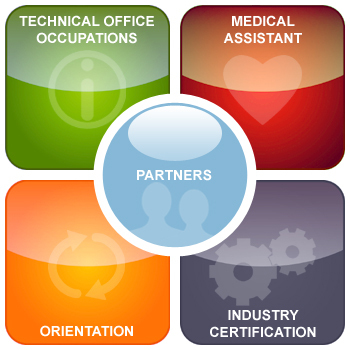 The Medical Assistant Program is geared toward the adult learner who desires vocational training in a clinical setting. In the first part of the student’s program they will learn Microsoft Windows as well as Microsoft Word, Excel and PowerPoint. Students will also take the Internet & Computing Core (IC3) test in Key Applications. In the Medical Assisting course students learn to work in a medical office and clinical setting assisting physicians with patients and maintaining the office. In the administrative side of the course, students will learn medical terminology, administrative office procedures, the computer program Medisoft, and Electronic Health Records (EHR). In the clinical side, students will learn vital signs, medications, clinical office procedures, laboratory procedures, injections and EKG’s. Students will also take a one day Bloodborne Pathogens course. It is a National Safety Council instructor led certification course that helps to safeguard employees who face potential occupational exposure to blood or other potentially infectious materials and what to do if an exposure occurs. Completion of the Medical Assistant Program prepares the student for the National Healthcareer Association (NHA) Clinical Medical Assistant Certification (CCMA), the Medical Administrative Assistant Certification (CMAA) and the Electronic Health Records Specialist Certification (CEHRS). 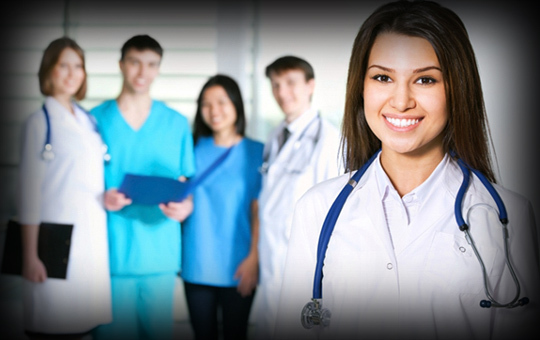 Students are also eligible to take the California Certified Medical Assistant Exam (CCMA).